I recently had the pleasure of meeting Joanna Ray when she walked into our store & announced that her daughter was expecting! She came in for a Gender Reveal Confetti Balloon so they could surprise the soon to be “mom and dad” with the gender of their baby! 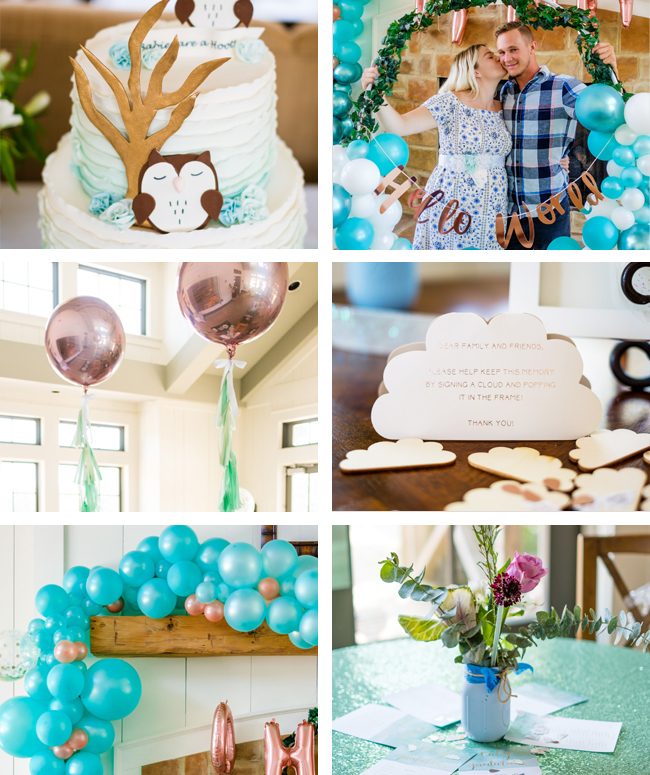 The reveal sort of “blew up” before they were ready…..(the balloon hit the ceiling and popped!) You can see that fun video HERE. However, a few months later Joanna stopped in again as she was making plans for the baby shower! 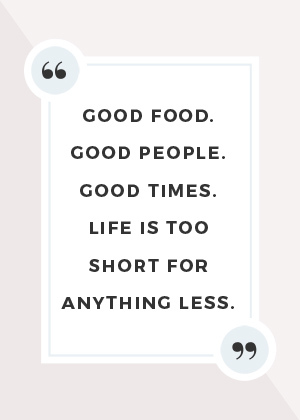 Joanna is an extremely talented photographer and videographer in our area and she is amazingly creative so we were absolutely thrilled to be a part of her event! Joanna walked in with the invitation below and we started working on a plan for elegant balloon decor that would match this invite and her color scheme of mint green and rose gold! 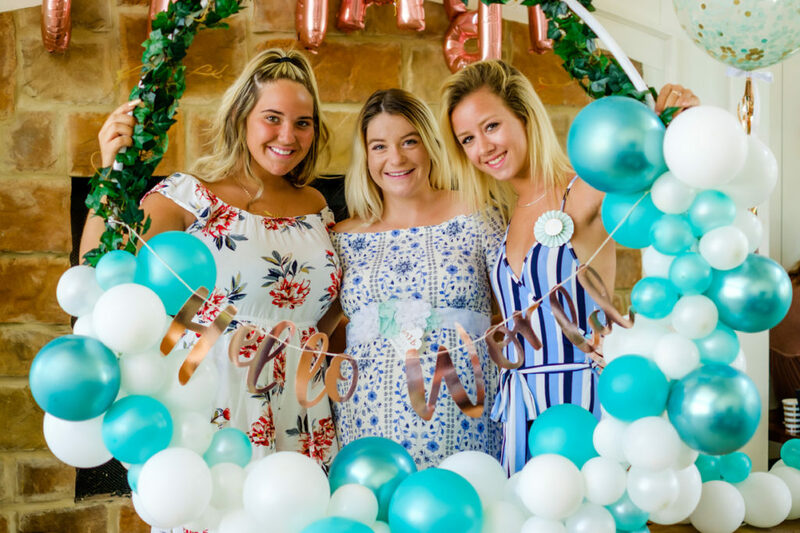 The balloon garland was created using various shades of green and mint to create a soft color change to the end in white. 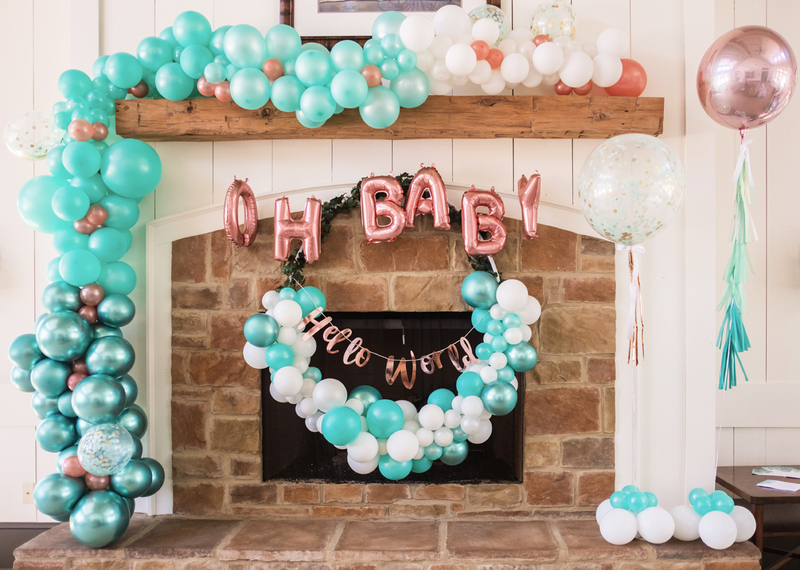 We added pops of Rose Gold to the garland along with confetti filled clear balloons too! 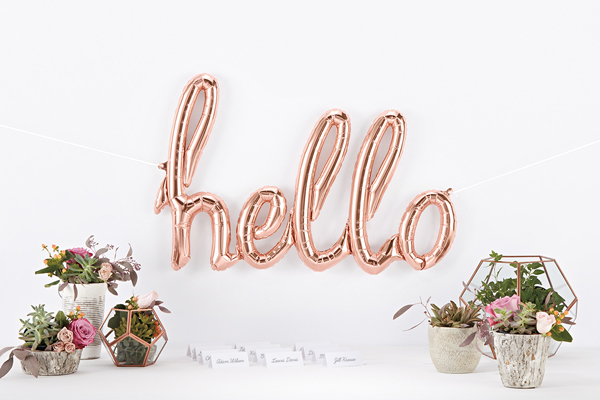 We also created ombre tassels for the rose gold orbz balloons to tie it all together. 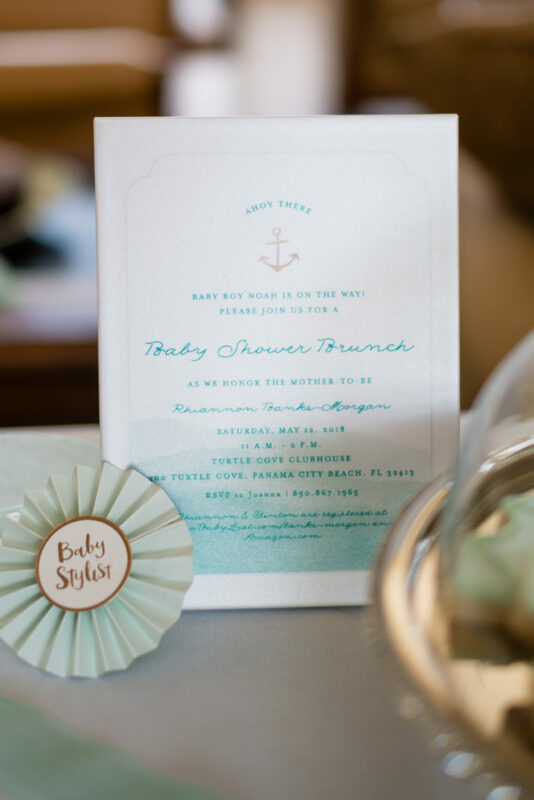 There were so many precious details that went into this baby shower and Joanna did not miss anything! 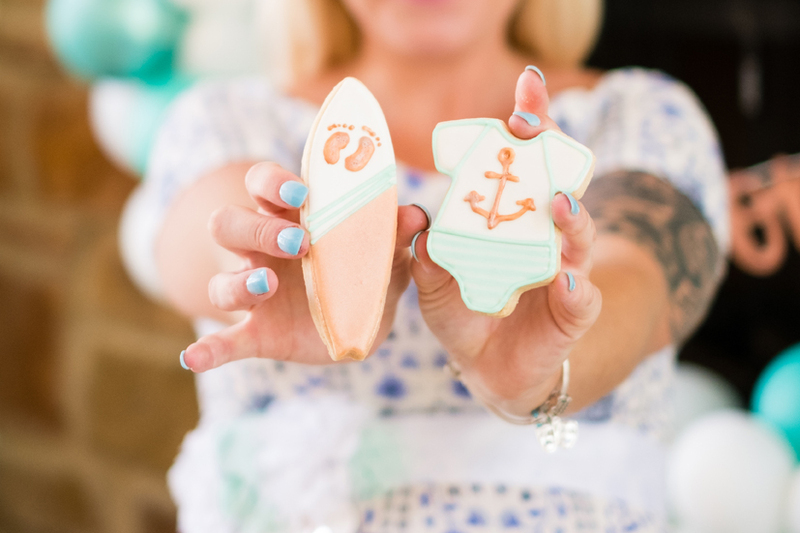 From the adorable cookie sweets to the floral accents. The Balloon Wreath was used for individual “selfie photos” during the event also! 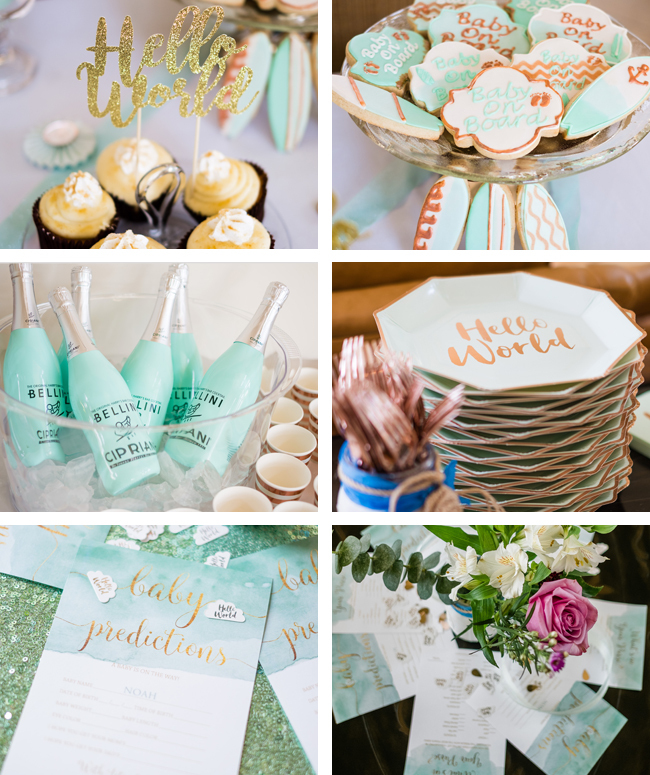 This was definitely a day for celebrating the anticipated arrival of baby NOAH and we are always so honored to work with these great families to make each event unique, special and of course memorable!